What: We are no strangers to the one-two hangover-annihilating hit of a Bloody and a burger. It just took an evil genius to smash the two together. 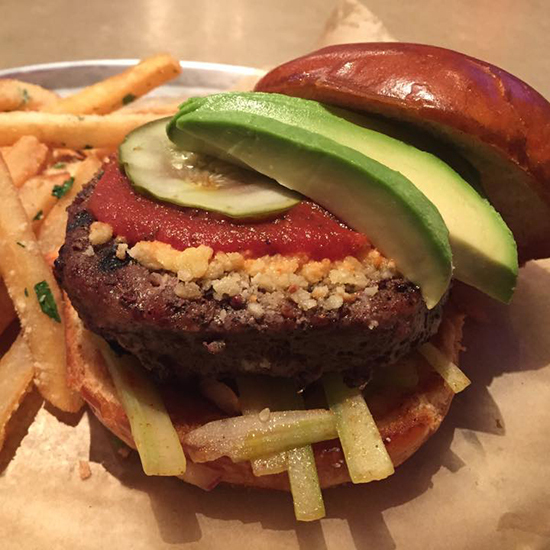 Chef Amanda Downing tops a black angus patty with a Bloody Mary reduction and a spicy celery slaw to mimic the drink's garnish. Then she adds Parmesan, avocado and pickles because those are just good things. Wash it down with: …You've got this one covered, right?